In 2014, Read Tuesday will fall on Tuesday, December 9. Authors can participate with a single book (or they can participate with multiple books, or all of their books). Ask your favorite authors if they will be participating in Read Tuesday, 2014. 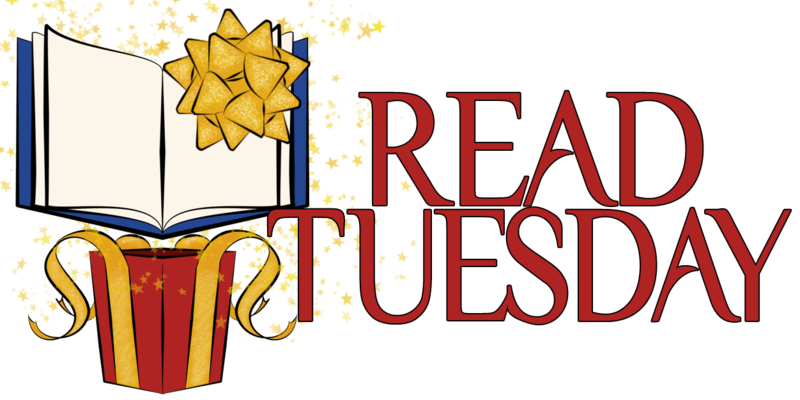 Readers can participate by checking out the books featured on the Read Tuesday website leading up to, and including, Read Tuesday, December 9, 2014. Anyone can support Read Tuesday by helping to share the news. While Read Tuesday provides great deals for readers and gift-givers, and while it’s also a great marketing opportunity for authors and publishers, the spirit of Read Tuesday is about improving and promoting literacy. From your WordPress dashboard, go to Appearance > Widgets. Drag the Image widget to your sidebar. Click the dropdown arrow for the Image widget to open up the options. Open the Read Tuesday website in another window. Right-click the Read Tuesday sidebar image. Paste the image location into the Image URL field in the Image widget. Enter a title and caption for your Image widget. Copy the url for the Read Tuesday website into the Link URL field. Enter width = 200 and height = 400 for most sidebars. If the image looks funny on your sidebar, you can come back and adjust this (in that case, you might try 150 by 300 instead, for example). Countdown Deals will be valuable even to Kindle Unlimited subscribers because, while they can read as many KDP Select e-books for free as they would like, it still costs money to send gifts. Click here to view the 2013 Read Tuesday report. The catalogs will only be displayed at Read Tuesday. Pinterest won’t be used to create catalogs in 2014 (although visually it was appealing, it created extra clicks). Your participation—as reader, author, or both—and support will be much appreciated. There will be category changes this year. More information about categories will come in another announcement. Last year, Read Tuesday was on the 10th. This year, it will be on December 9, 2014 (since the 10th will be a Wednesday). For books participating through Countdown Deals, freebies, Smashwords discount codes, or MatchBook offers, the sale date must include December 9, 2014. It’s okay if the offer includes additional days, so long as the 9th is included. You must create your sale before signing your book up for Read Tuesday (that way, you won’t run into any hiccups when you proceed to make your sale). If there are any other sales channels that you would like to see available for Read Tuesday, now is the time to make suggestions. Feel free to add a comment below. Participating on Read Tuesday will give books additional exposure, but, as with all retail opportunities, just having your book on a list with thousands of other books probably won’t, by itself, make the book sell like hot cakes, especially if it wasn’t selling like hot cakes to begin with. Some books may be more visible than others, and other books may be featured in blog posts or on special pages of the Read Tuesday website, but most books won’t benefit from extra exposure in this way, so you can’t count on that. What you can count on is having your book included in the Read Tuesday catalog (if you sign up, when sign-up becomes available). Read Tuesday provides a mechanism for authors to advertise their books without it sounding like blatant self-promotion. For example, instead of posting, “Check out my book,” you can say, “Check out this Black Friday type of event for books called Read Tuesday,” then mention by your name that your book (give the link to it at Amazon or Smashwords) will be participating. It may be easier to generate interest when you’re not just spamming the boards with mention of your book, and people who check out your post will see your book, which helps with your branding efforts. Book retailers, including Amazon, tend to help authors who help themselves (through search engine visibility and customers-also-bought lists, for example). So if you run an ad campaign (e.g. with BookBub, E-reader News Today, or one of many such services—or even Goodreads), post in a marketing group for your genre, notify your fan base, etc., the combination of your usual promotion plus exposure through Read Tuesday may result in enhanced exposure for your book at Amazon. There are never any guarantees (that depends largely on the content of your book, the marketability of your idea, your book’s packaging, and your marketing effectiveness), but the potential is there. Some authors have a knack for capitalizing (scrupulously) on marketing opportunities. For example, a few exceptional Twitter users know all sorts of little tricks, like the #TuesdayTreat hashtag for people looking for good deals on Tuesdays (well, of course, Read Tuesday falls on a Tuesday). Some authors are really good at getting involved in (or even starting and growing) marketing groups, such as those on Facebook; this was an opportunity when Kindle Unlimited arrived, and it’s also an opportunity for Read Tuesday. There are many ways to be creative (and scrupulous) to take advantage of marketing opportunities unique to Read Tuesday. Educate your target audience about Read Tuesday and how they can benefit from it. For example, many customers aren’t aware of MatchBook, and many who are don’t fully realize how they could use it. It’s perfect for the holidays, especially when the MatchBook offer is free: Give the paperback as a gift, keep the free e-book for yourself. What a deal! If you’ll be participating with MatchBook, spreading the word to your target audience about how they can take advantage of it during the holidays can help you improve your paperback sales rank (and once you have more paperbacks out, the more often it’s seen on a plane, in a train, on a bus, or on a coffee table, the more likely you are to gain valuable word-of-mouth sales). I was just wondering about this event a few days ago. I should probably start thinking about which of my books I’ll enter into the fun. This is coming right around my next book debut too. Hopefully. The book will be out by then, but I don’t think I’ll attempt a preorder. Be very embarrassing if I miss it like I’ve done with the other debut dates. I just can’t seem to release a book on the day (or week) that I say I will. Last year was a success, so it’s going on again this year! Great promotional activity for authors! It is getting close to that time again authors. Start preparing. This is a great opportunity to share in a widely promoted event! My pleasure. I dropped off a lot of Facebook groups that I used to be a member of when they started sending group member posts to your newsfeed. It just got to be too many book promos in my daily feed…I couldn’t find my friends. One really active group is Writers and Readers Unite. They did much more than most of the groups to encourage readers to interact and offer them values. I need to join more of those groups and see how they go. It’s important (and not necessarily easy) to find the right group for you and your book. Reader interaction would definitely be high on my list. I have seen several threads in this one where authors ask readers for feedback…like trying out cover ideas, titles and such. There is always a lot of promotion in any writer group, but this one is most interactive with readers. This looks great. Thanks so much! Congratulations on publishing your book. 🙂 Thank you for participating and good luck with your book. For readers, this is a wallowing in luxury event 🙂 Wonderful!! Thank you. On the calendar as of right now! On the calendar and a blog post coming in a couple of weeks, Chris. Just over a week until it’s time to pick up some Christmas reads and new deals. A great opportunity for authors.